The Rio de Janeiro Olympics are in sight. Athletes from all over the world will be joined by unlikely country representatives. Introducing the eGames at the Olympic games. Countries from around the world will be battling it out for international glory in gaming. The competition, will be backed by the UK government and will be run by the new International eGames Committee (IEGC). The non-profit was “set up with the aim of positively shaping the future of competitive gaming”. In Olympic years, both summer and winter, the eGames will take place in the host cities. During the years leading up to the Olympics, qualifiers will be held domestically to grow the team. All team players must be over the age of 18 and teams can consist of men and women combined. The players will compete in both team and individual games. The eGames will be held after the sporting Olympics finishes but will take place in Olympic arenas for a two day pop up competition. The eGames maintains that this competition is designed to boost the profile of the sport and “to showcase the eGames to the world of competitive gaming and attract further partners”, according to the official eGames website. Currently, there are only four nations set to compete – eTeam Britain, eTeam Canada, eTeam Brazil and eTeam USA. Hopefully more teams will enter leading up to the eGames. 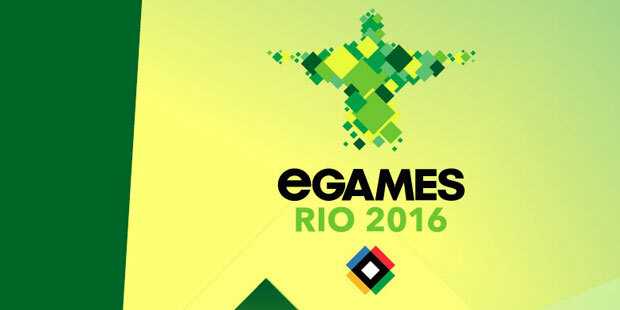 The eGames are offering no prize money for the competition, only national pride and a gold medal. Although this has sparked controversy as eSports is one of the highest paying professions in the Tech industry. It shouldn’t have however, as this is in line with the Sporting Olympics who do not offer prize money to winners. So as with the sporting olympics, governments and sponsors will have to back the teams competing. The eSports industry was worth about $750m last year, largely due to advertising and sponsorship, with revenue forecast to reach $1.9bn by 2018. On Twitch alone people are watching over 79 million hours of eSports a month. The top five of which are: League of Legends, Counter Strike: Global Initiative, Dota2, Hearthstone and Star Craft II. The IEGC has not yet announced which video games will be played at the event, but promised a diverse mix of competitions. There will also be a verity of platforms to play on from console and PC to possibly mobile. How do you feel about the eGames? let us know is the comments below.